March welcomed back the AFL and NRL and with it came a very nice profit. But it was the NBA totals which kicked back into gear that produced the most profit. The AFL has started poorly with some big bets going down. The NRL made up for the AFL losses with a month nearly as good as the NBA. March moved year 8’s total back into profit and the signs are good that the next few months will also produce some pretty decent returns. In total, March saw turnover of $244,620.00 for a profit of $13,620.00 at 5.57% ROI. I placed 134 bets over the month and won 76, and lost 59. March started with a good first week which saw close to $10,000 profit. The biggest bet of the week was on the Dragons to beat Brisbane and that resulted in $6,000 profit. A few days later we had a $5,000 bet on Manly over Newcastle and $3,000 on Cronulla over North Queensland, both lost to bring the profit back to just above break even. The second week of the month started with a bang with another huge bet on the Dragons, this time over the sharks which won paying $2.10 for an $8,500 profit. Brisbane getting up over North Queensland at odds of $2.50 for a profit of $9,500 pushed the total profit for the month to just under $20,000. Week 3 started well once again with the Storm beating the Cowboys for $5,000 profit and the first AFL bet of the season winning. But all good runs must come to an end and with some huge bets on Canberra and Manly losing in the NRL and a massive bet ($16,000) on Melbourne in the AFL losing, I was back to under $15,000 profit for the month. A big Richmond bet started week 4 and lost $11,000 and I was back under $5,000 profit for the month. But Collingwood and Melbourne ended the month with Line bet wins to push the final profit to just over $13,000. 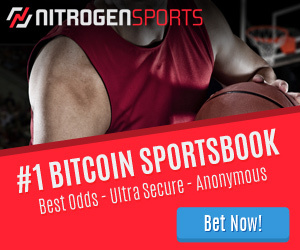 The NBA bets are much lower variance, with a range of $500 to $2,000, and they did well throughout the entire month. The AFL H2H bets saw turnover of $30,750.00 and a loss of $8,270.00 at -26.9% ROI. I placed 11 bets and won 5 of them. The Line bets hit 50% with 6 winners from 12 bets. I turned over $51,160.00 and lost $930.00 for a -1.8% ROI. NRL turned over $83,770.00 on the H2H bets for a profit of $10,140.00 at 12.1% ROI, I also turned over $9,350.00 on Totals and made a profit of $1,470.00 at 15.7%. One thing to note is that after reading Jonnos analysis of the NRL results, I am not betting on any teams under $1.60. I placed 79 NBA Totals bets in March and won 47 of them. I turned over $69,590.00 and made $11,210.00 at 16.1% ROI. This has once again been an amazing NBA season. A great month and one that pushes me into profit for the year. There are 3 months left in my 8th year of betting and this period is usually the time where I make most of my profits. Hopefully, that happens again this year. 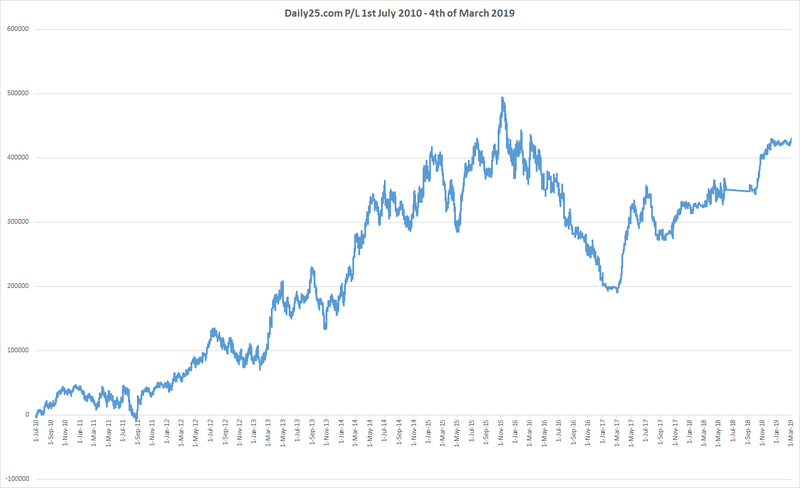 If you want to get the same bets as I do, join the Dailyprofit waiting list and you will be able to subscribe to the service once a current member leaves. And placed 134 bets over the month and won 76, and lost 59. Which means an average of $1900/bet. I am a small punter who punts with far lesser amounts..
still my stake was recently limited to $5 by By365. Hi, no one bookmaker allows bets like that (for very long). NBA is no issue, as Pinnacle allow bets up to about 3k when I place them. NRL and AFL are a whole different issue and at times I wonder if it is worth all the effort to get bets placed. Just know that if you beat the closing line at any Australian book, you will be limited very quickly. One of the skills you will learn as you progress is how to continue to get bets on (it gets harder each year). Didn’t think Sportpunter was doing NRL totals anymore? Hi Steve, as a member of daily profit I just wanted to ask are the SportsPunter bets you upload the exact bets you also place? I’m assuming you just work off a different unit value (e.g 1 unit =$1000)? They are the same bets but 10-15minutes after Sportpunter clients get them. I also bet with different bank sizes for each sport. So all the picks you are taking are from sportspunter? Or are you using other tipsters also? Hey Edwin, only Sportspunter now. In my 8 years of following hundreds of tipsters, it’s the only one I made a profit from over the long term. My goal now is to make my betting life as simple as possible and that means just following the one tipster I know has done well for 8 years and counting.